For the 2017/2018 school year, a new class has been added. Three students have signed up for board drafting and Computer Aided Design (CAD.) 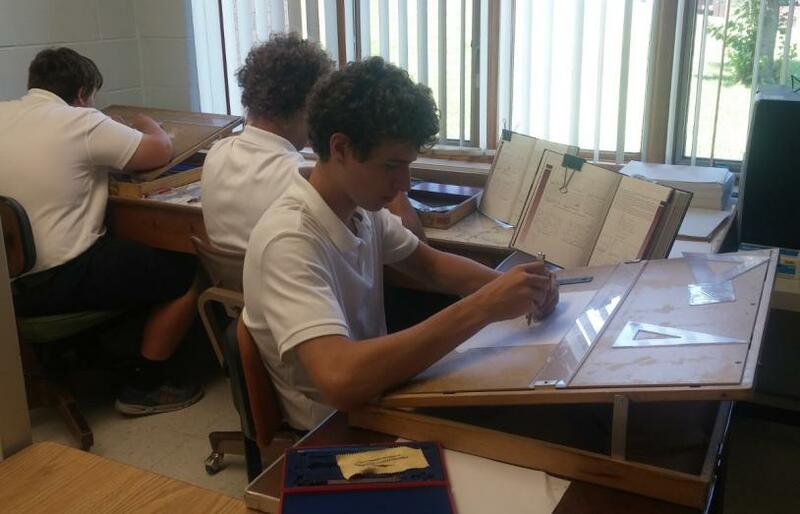 Here they are learning how to use the portable drafting tables and standard mechanical drafting tools. Later they will be working with Autodesk Inventor software.